Those who cultivate a good reputation know its priceless value and almost magical quality. Once built, a solid reputation can open the corridors of power. Money, praise, and devotion often follow. What’s not to like about reputation? Blind faith in another’s reputation can, however, be very dangerous. This article peeks behind reputation’s curtain — shining the light on its sinister underbelly. Indeed, many of us would be better served not to rely on reputation. This edition of the HR Law Insider posits that instead of relying on reputation, one should develop his or own belief regarding potential business partners and employees. Then, this article provides real world guidance as to how to avoid becoming entangled with those that appear to be paragons of success and virtue. Phrased in a different way, reputation is a belief one reaches not on the basis of facts, evidence, or experience, but on the beliefs of others. Should one trust such a belief? Bernie Madoff’s reputation was impeccable, before it wasn’t. 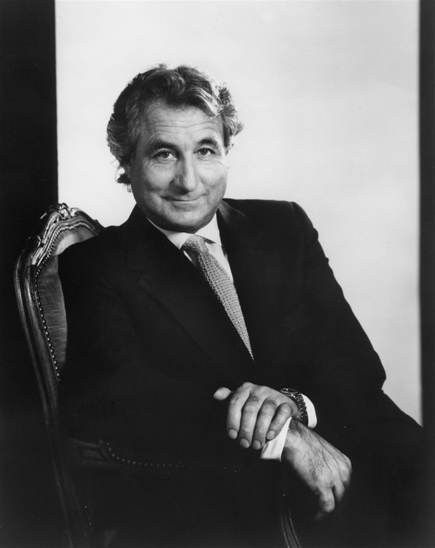 For decades Madoff was revered by the wealthiest, most sophisticated investors. Before his vast Ponzi scheme was uncovered, investors clamored to give Madoff their money. To be seen with Madoff, or to be near him, gave many the feeling that they had entered the very corridors of power. When one currently observes a picture of Madoff, one sees the quintiseential conman. Now, it is “easy,” in hindsight, to see that Madoff was a fraud. No One Would Listen is a thrilling story of how Harry Markopolos, a little-known number cruncher from a Boston equity derivatives firm, uncovered Bernie Madoff’s scam years before it made headlines, and how he desperately tried to warn the government, the industry, and the financial press. No One Would Listen demonstrates how Madoff used his reputation as diabolical tool to woo the world’s “smartest” investors. In the end, just before his demise, Madoff’s reputation was so good that he no longer needed to solicit investors — they came to him. He will have carefully grown a social and business network of name people and companies. How could someone so connected, with such a brilliant reputation, not be a winner and leader in his field? He will make it appear as though he is doing you a favor by working with you. Time and again a conman will tell people that his sole objective is simply to “help” people. How fortuitous that he chose you to help! Ironically, many unscrupulous types forge reputations by starting charitable organizations, making “giving back” a central theme, and/or appearing at high profile charity events. How could a philanthropist be bad? Those trading on reputation will present an appearance of wealth and success, and seem so generous as to be selfless. Selfless people are to be trusted, right? There may be a religious or spiritual component to reputation. Religious and spiritual people are “pure” in many peoples’ eyes — their reputation is beyond reproach. He will obtain the endorsement from, or membership in, seemingly well known organizations. Here’s a little known (outside the legal community) trade secret: did you know that lawyers pay money and have friends endorse them in order to get on those seemingly exclusive “Top 50 Lawyers” lists and magazines? Reputation can be built in as little as hours or days on internet, which has made it easier than ever to cultivate reputation. Ignoring reputation is simple, but not easy. Those who cultivate solid reputations are very skilled at their craft. The siren song of a good reputation has fooled many a smart business person and investor. Due diligence and common sense are the keys to overcoming the instinct to rely too heavily on reputation. For example, consider a significant background check and otherwise thorough vetting when hiring a key employee or business partner. Do not stop there, however. Always be willing to ask challenging questions of your employees, business partners, and others with whom you trust your money or livelihood. Defensive responses and ambiguous (non)-answers are obvious clues that something is amiss. Asking good questions and evaluating the veracity of the answers is much easier when one is not left starry-eyed by another’s seemingly “impeccable” reputation. In short, do not whistle past the graveyard — always be willing to be objective and proactive about your situation. Avoid confirmation bias. This is “the tendency to search for, interpret, favor, and recall information in a way that confirms one’s preexisting beliefs or hypotheses, while giving disproportionately less consideration to alternative possibilities.” Time and again I have seen this bias lead successful business people to ignore hard data, stay in bad deals, or continue to believe in unscrupulous business partners or employees. In conclusion, be your own Sherlock Holmes. Make it your business to know who you are dealing with. Use your cognitive tools to separate the wheat from the chaff. For further information on hiring and managing employees, business partnerships, employment and shareholder disputes, or other general commercial matters, contact Art Bourque at Bourque Law Firm.